Beer yeast-modified fluorescent carbon dots were synthesized via a one-step strategy for photoinduced bactericidal functions and bio-imaging in bacterial viability assessment. 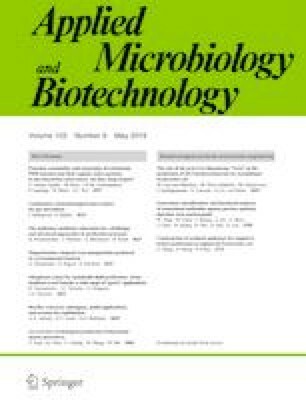 The proposed carbon dots (CDs) were used as an visible light-triggered antibacterial material, and the antimicrobial activities of the CDs against Gram-negative model bacterial species (Escherichia coli) were evaluated under conditions of varying other experimental parameters including CDs concentrations and treatment times. The result showed that the CDs have excellent antibacterial performance of bactericidal effect within 120 min of under visible-light irradiation. And the bactericidal efficiency increased with the increasing concentration of CDs and visible-light illumination time. Moreover, the CDs with high quantum yield (21%) possess highly negative zeta potential (− 41.7 mV) and low cytotoxicity, the CDs could serve as an efficient dye for bacterial viability evaluation, they could selectively stain dead E. coli rather than live ones, which make dead E. coli be viewed with multicolor fluorescence under different excitation wavelengths. The online version of this article ( https://doi.org/10.1007/s00253-019-09782-3) contains supplementary material, which is available to authorized users. The work was strongly supported by the Analysis and Testing Foundation of Kunming University of Science and Technology (2018M20172118081).